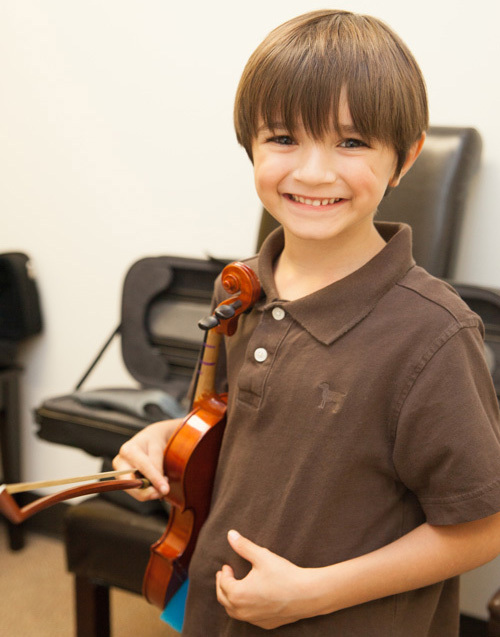 Houston Violin lessons are offered to students of all ages and levels in traditional, Suzuki or a blend of both methods. Core principles are emphasized through the best violin lesson curriculum in Houston at Vivaldi Music Academy, starting with the fundamentals – learning the parts of the instrument, proper finger placement and bow hold. What an accomplishment when beginning students proficiently play simple songs! More experienced students continue to progress by mastering significant repertoire and developing advanced technique, such as vibrato and harmonics. Our comprehensive violin lessons include theory, ear training, sight reading, technique, and history. Vivaldi Music Academy aims to deliver the finest violin lessons in Houston by presenting repertoire and technique in new and exciting directions. Violin lessons are offered at both of our locations in Bellaire and West University.